That’s actually mine, so I thought I’d share it. Here’s a link to the full page. 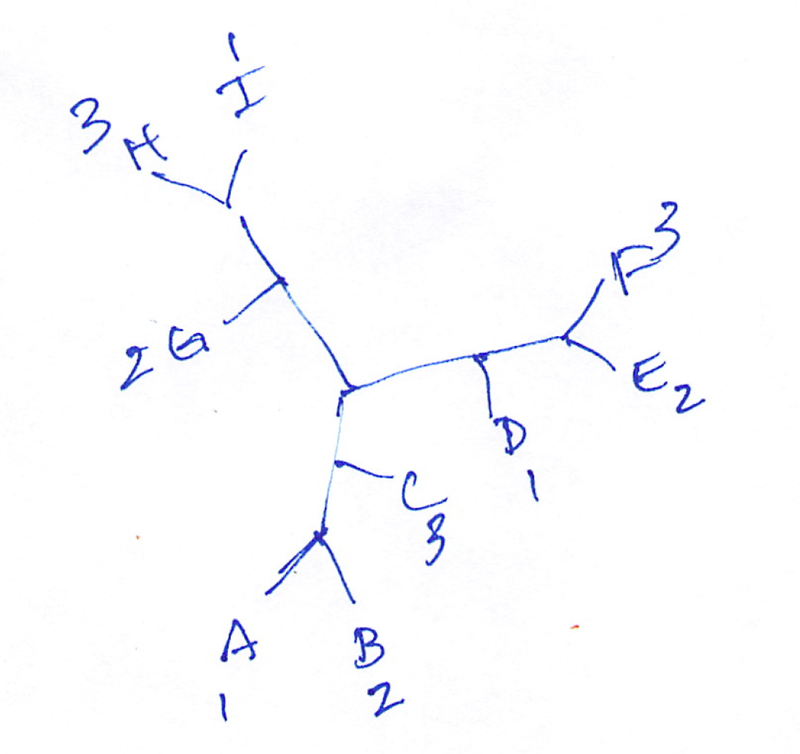 These scratchings are related to a bit of theory I’ve been working on (with considerable help), regarding phylogenetic trees. It’s part of this paper, which I’m getting ready to re-submit.